The arrest of Mr. Dolkun Isa on his arrival in South Korea on 15 September 2009 to attend the World Forum for Democratization in Asia (WFDA) has shocked the Unrepresented Nations and Peoples Organization (UNPO) and threatened the image of South Korea as a lodestar for democracy in South East Asia. 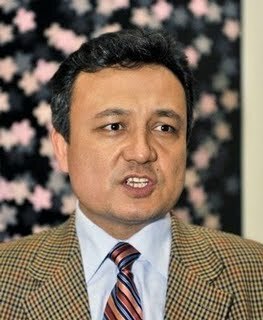 As the elected General Secretary of the World Uyghur Congress (WUC) Mr. Isa has endured years of persecution from the Chinese authorities as a result of his campaigning for the human rights of Uyghurs living in the People’s Republic of China (PRC). Forced to flee the PRC and seek asylum in Europe because of his willingness to defy intimidation and speak out on behalf of the Uyghur people, Mr. Isa is a German citizen who should be accorded all the rights and protection afforded to any citizen of that country by South Korea. On behalf of the UNPO, I therefore urge the South Korean authorities to immediately release Mr. Isa, to reject completely the fabricated accusations levelled against him by Chinese authorities and to safeguard Mr. Isa’s personal freedom from any attempts to extradite him to the PRC - where he would be certain to face summary execution.